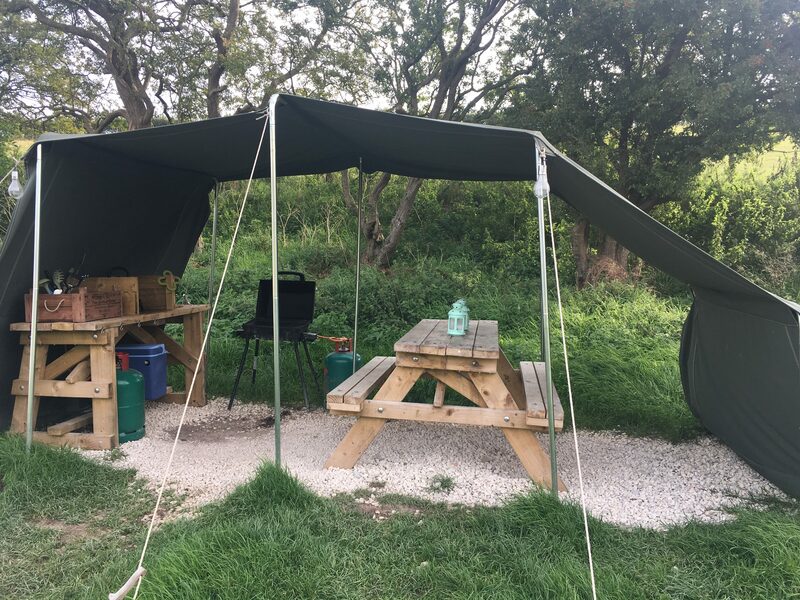 We’ve just come back from a great little glamping holiday near Scarborough. Our tent didn’t survive our last camping trip in the area and I forgot all sorts, so this time we tried glamping. 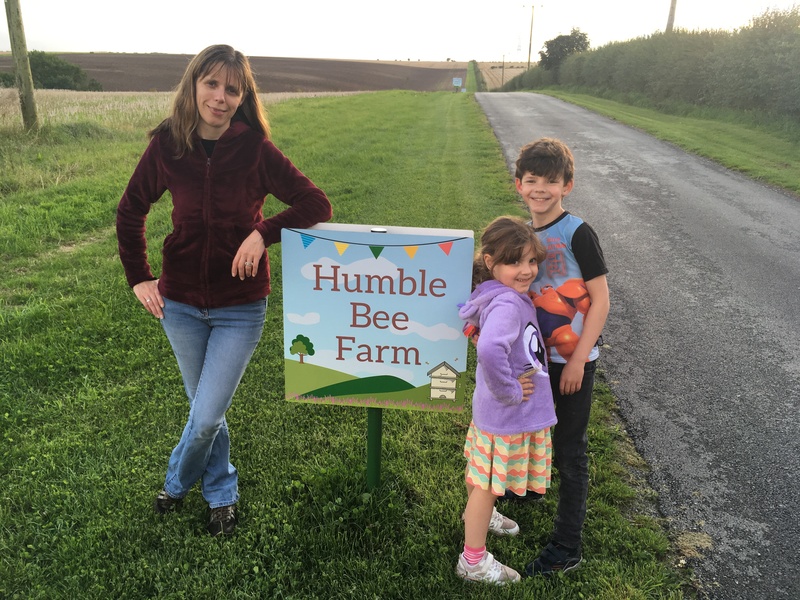 I’ve been wanting to go to Humble Bee Farm for ages so booked for right at the end of the school holidays, to celebrate our Wedding Anniversary. 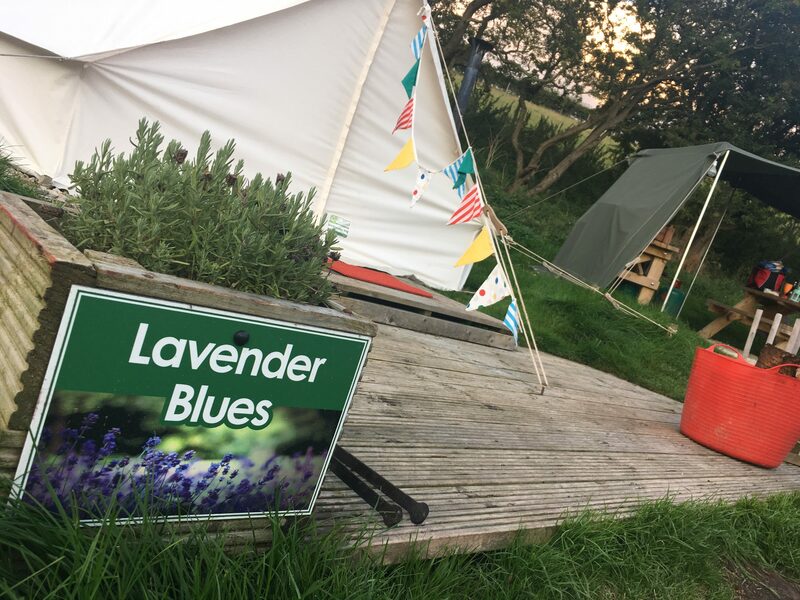 I picked the ‘Deluxe’ bell tent which meant it was furnished with a proper bed, bedding, fairy lights, crockery etc – less for me to forget basically! After last time having to leave the stove behind everyone was relieved that there would be some cooking facilities for us to use too. The farm is nestled in rolling fields in the middle of beautiful countryside, there’s a duck pond and hens, guinea fowl and a goat are walking happily around. 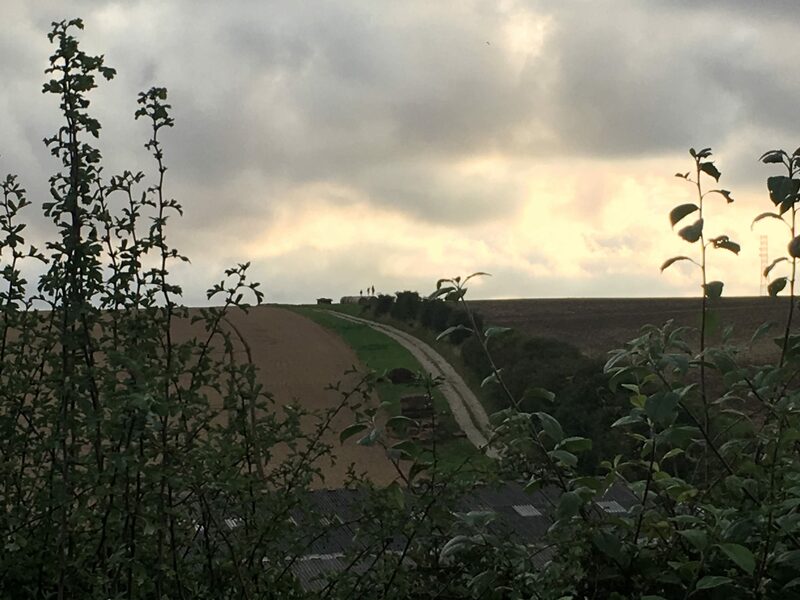 After a stressful week, my shoulders dropped from around my ears as soon as we started coming down the lane. A nice place to relax and enjoy the outdoors, phew. 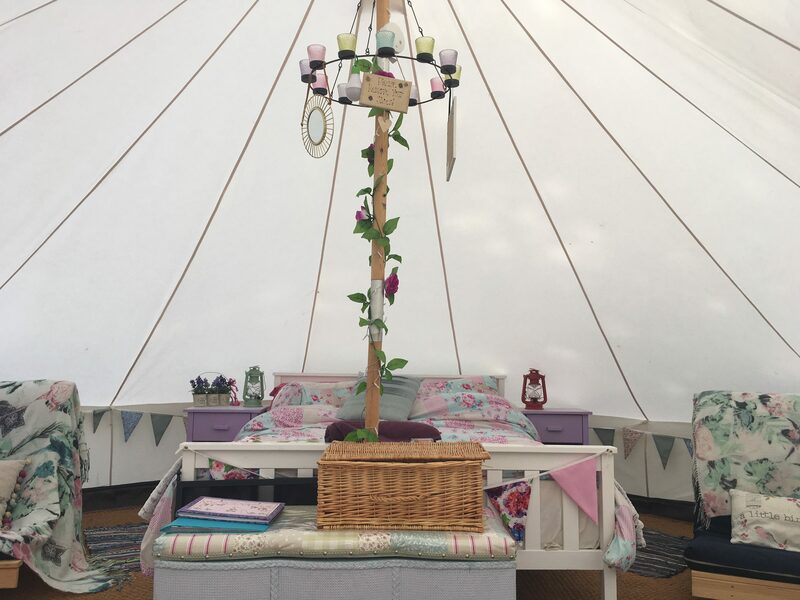 Our bell tent was gorgeous and we all uttered a wow as we unzipped the door. 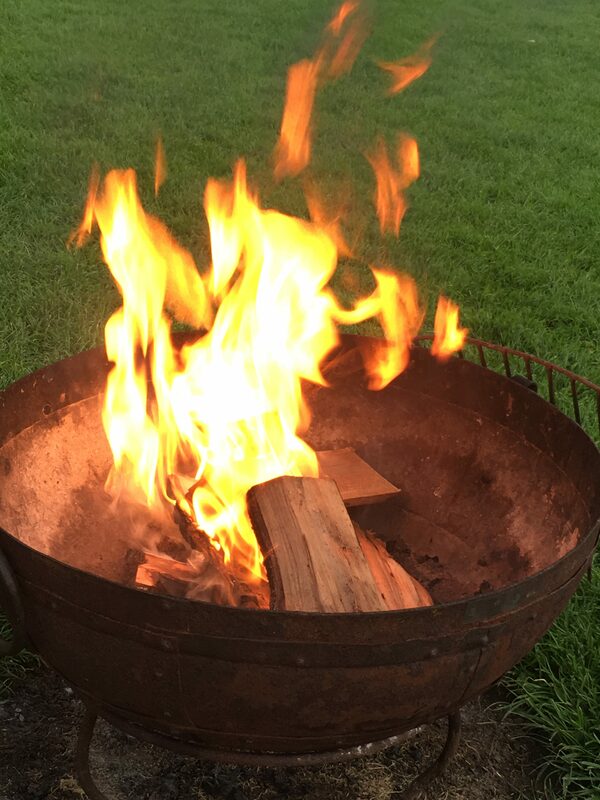 We ordered a fire pit from reception when we arrived, and bought some marshmallows – the only thing I did forget this time! We had wood left over too for the wood burner inside the bell tent. After cooking our tea in the little kitchen area beside the tent we walked around the farm, said hello to the pigs before roasting our marshmallows. We were brave and stayed outside star-gazing but it did get a bit nippy later. 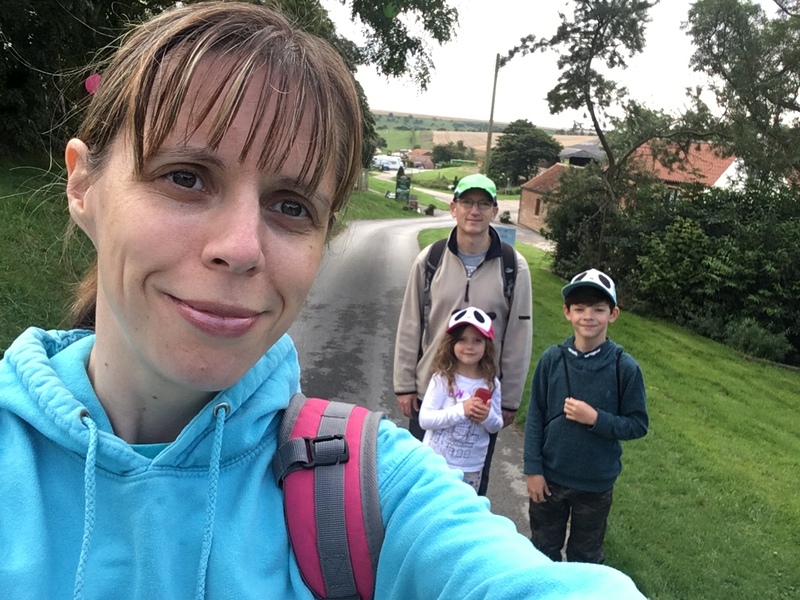 The farm is near the Yorkshire Wolds Way so we walked from there to Filey for ice cream – 11.6km! Only a short drive away if you’re not into walking like us. We drove back later to have a curry and can recommend the Monsoon Indian restaurant. 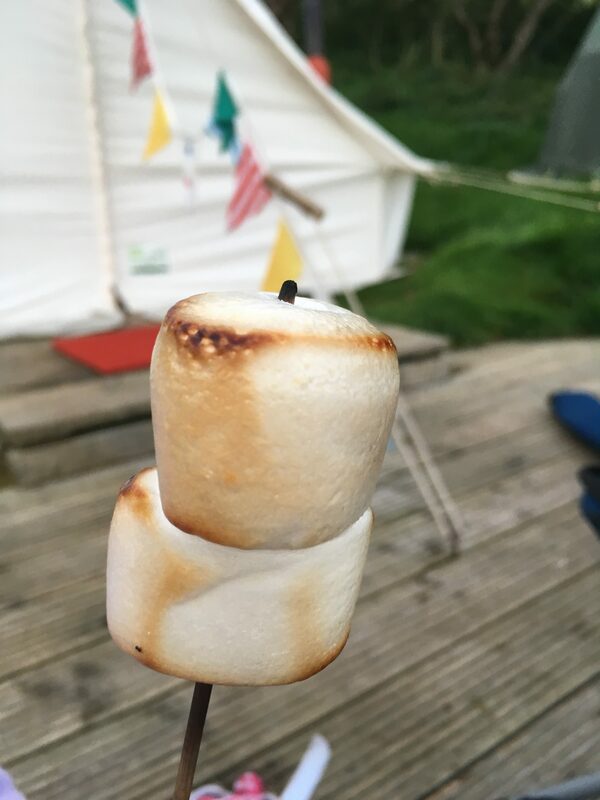 We spent two nights in our Merry Dale glamping bell tent and really enjoyed our mini holiday. The kids loved the farm animals and the play area and I left feeling a bit more relaxed. I’ve received no incentive for writing this blog post and all views are honest and my own. Want to see more pictures of our adventures or join in the chat? then head to our Facebook page.